Peter J. Wheeler sat at the shiny Honduran mahogany desk in his high-rise paneled law office in Center City Philadelphia rehearsing what he would say to the beneficiaries of his best friend’s will once they arrived. There’d be no easy or pleasant way to get through the next few hours, and if he hadn’t loved the deceased like a brother, he would’ve killed Fritz Hudson with his own two hands for putting him in this position. Over the years, Pete had been called upon to clean up a good number of messes on Fritz’s behalf, but this . . . this was . . .
Cowardly. There was no way around it. Fritz was an out-and-out coward. He’d gone ahead and died and left his old buddy Pete to do his dirty work. Not that Pete didn’t owe Fritz—he’d be the last person to deny that—but still. Weren’t there limits to repaying a debt? “Mr. Wheeler, Ms. Monroe and Miss Hudson have arrived,” Marjorie, the firm’s receptionist, announced through the intercom. Send them away. Far, far away . . .
Pete stood and adjusted his cuffs for something to do with his hands, mentally preparing for the reading of the will—and the breaking of the news. The door opened and Fritz’s daughters, Allie and Des, walked in, smiling and offering hugs and kisses on the cheek. It wasn’t a secret that their father’s estate was quite substantial, and Pete had no doubt the two women were already mentally spending their shares. “I’d give anything to have him here with us today.” So I could wring his neck the way I should have when he was alive. Or at the very least, if he were here today, he could do his own dirty work. “Thanks. All that leather and those prints of English hunting dogs were starting to get to me.” He smiled to himself. I should’ve tied him to a chair right then and there, dialed the phone, handed it to him, and not let him up until he’d come clean with his kids. All his kids. “Allie, how’s Nikki doing? The new school working out for her?” Pete offered a chair to the tall, slender blonde, who seemed a bit on edge. “Still, you have a recognizable name. I’m sure someone will call.” He tried to be encouraging, but could see by her expression that she wasn’t buying it. “Ahhh . . . well . . . yes, but . . .” he stammered. No rehearsal would have been adequate to prepare him for what was ahead this morning. It was then that Allie pointed to the third chair in front of the desk. With puzzled expressions, Allie and Des turned to face the newcomer. The silence that followed could not have been more intense. The three women stared first at Pete, then at each other for what seemed to be an eternity. “Then I suggest you do that.” Des folded her arms across her chest, an I’m waiting expression on her face. “So you’re saying he didn’t love our mother and she made him miserable?” Allie snapped. “Is that true, Uncle Pete? Was Dad still married to their mother when he married mine?” Cara’s stare ate right through him, and he knew that one of the moments he’d dreaded most was upon him. “I . . . I can’t say for sure . . .” Pete mumbled. God, how he hated Fritz at that moment. Pete shrugged. “I honestly don’t know how he got around all that. He just showed up one morning with a bottle of champagne in one hand and two glasses in the other. Asked me to drink a toast to his new bride.” Pete paused. If he closed his eyes, he could still see the light in Fritz’s eyes. There was no doubt that he’d been happier than Pete had ever seen him, and definitely head over heels in love. “And you said . . . ?” Allie gestured for Pete to get on with it. “Did Mom know, Uncle Pete?” Des asked quietly. “We find out that Dad had another wife and child and all you can think about is how this news is going to impact your inheritance?” Des asked. “She wasn’t his mistress,” Cara snapped, whirling to face Allie. All three women turned to him as if on cue. “What conditions?” Cara asked warily. Now came the hard part. Pete cleared his throat again and launched into the part of the disclosure that he’d rehearsed over and over. “Your father loved all of you very much. I know he didn’t always go out of his way to show it.” He directed these remarks to Allie and Des. “That sounds ominous,” Des said. “Which is why he kept her a secret.” Allie pointed in Cara’s direction. “He didn’t tell me about you, either,” Cara countered. “Ladies. Please.” Pete placed a hand on the top of his head, a habit once intended to smooth back his hair, which was now pretty much gone. “If it was so important to him that we know each other, why didn’t he tell us himself?” Cara asked. “So what comes next?” Des asked softly. “A little late on that score,” Allie scoffed. The pronouncement was met with silence and blank stares. “What kind of challenge?” Cara blurted. “Something along the lines of the twelve labors of Hercules would be my guess.” Allie folded her arms over her chest. Pete let the three of them vent for several minutes. “What if the owner doesn’t want it restored?” Cara asked. “So he built a theater?” Allie asked. “So he was quite the philanthropist,” Cara said thoughtfully. “No wonder Dad felt like he’d dropped the ball.” Des nodded. “Oh, believe me, he knew exactly what he was doing. We talked it through, every which way,” Pete assured her. “Then why didn’t you talk him out of it?” Allie demanded. “I knew he was from somewhere in Pennsylvania, but Dad never wanted to talk about his childhood. Is Hidden Falls anywhere near Philadelphia? Or Pittsburgh?” Des inquired. “Or any civilized city?” Allie held up crossed fingers. “All for one and one for all,” Des muttered. “Couldn’t be more serious,” Pete told them. “Live with her? You can’t mean it.” A clearly horrified Allie glared at Cara. “Your daughter can live with her father until school is out.” Pete’s patience was nearing its end. “As for you, you’re unemployed, with no immediate prospects, and on the verge of losing your house. So if you ask me, it’s a plenty convenient time for you.” She started to object, but Pete cut her off. The three women stared at the envelopes, but none opened theirs. “I still don’t understand why he did this,” Cara said. “Your father left an audio letter for you. He wanted me to play it after I’d gone over the terms of his will.” He clicked a switch and sat back. A moment later, the women heard their father’s voice. “Okay. Well, girls, if you’re listening to this—and if old Pete here has done his sworn duty to me—I’m ashes in a jar, and the three of you have just been hit with a bombshell. I owe each of you an apology, for things I did and didn’t do. There isn’t time enough for me to go into every way I’ve failed you, but please know that I am sorry to my soul for not being the father you all deserve. Know that I love the three of you more than anything in this world . . . this world, the next world. Whichever world I land in.” He chuckled at his attempt to make a joke, then coughed. A moment passed before he resumed. “I want you to understand that I loved your mothers, both of them, in my own way, and in their own time. Don’t think for a minute that any of my actions were the result of anything you did. Allie, I’m talking to you especially here. You just remember that last conversation we had and remember what I told you.” He paused and coughed again. When he resumed speaking, his voice was a bit weaker. “Des, I’m sorry for not standing up to your mother when you needed me to. I shouldn’t have let her bully you into doing things you didn’t want to do.” More coughing. “Cara Mia, I’m sorry for the lies. Sorry that I let you and Susa live a lie for all these years. Sorry that I . . .” Cough, cough. “That I left all this in Pete’s lap.” The voice grew faint, as if Fritz had turned from the recorder. “Pete, you’re the best friend a guy ever had. I love you like a brother. . . .” Again a cough, longer, harsher this time. Pete wiped his eyes and turned off the recorder. The only sound in the room was the sniffling of the three women as tears ran down their faces. He handed Cara a box of tissues. She took several and passed the box on to Des, who shared it with Allie. “The afternoon before he died,” Pete replied. “When did he tell you that he was sick?” Des asked. “What happened to his ashes?” Cara asked. Pete pointed to a large, shiny silver urn on the top shelf of a bookcase across the room. He waited for someone to comment. When no one did, he continued. Pete hugged each of the three women and planted a kiss on their heads as they filed wordlessly out of the office. He walked them to the elevator, pushed the button for down, and stood aside as the three silently entered the car together. When the door slid closed, he walked back to his office, relieved that his part in Fritz’s mess was, for the time being, over. “How’d it go?” Marjorie asked as he passed her desk. “Once they come around to the idea, sure. Whether or not they can without killing each other . . .” Pete shrugged. This reading group guide for The Last Chance Matinee includes an introduction, discussion questions, ideas for enhancing your book club, and a Q&A with author Mariah Stewart. The suggested questions are intended to help your reading group find new and interesting angles and topics for your discussion. We hope that these ideas will enrich your conversation and increase your enjoyment of the book. When celebrated and respected agent Fritz Hudson passes away, he leaves a trail of Hollywood glory in his wake—and two separate families who never knew the other existed. There’s Allie and Des Hudson—sisters who are products of Fritz’s first marriage to Honora, a beautiful but troubled starlet. Then there’s Cara, Fritz’s daughter with New Age hippie Susa. While Fritz loved Susa and Cara, he never quite managed to tell them about his West Coast family. Now Fritz is gone, and the three sisters meet all together for the first time. As if that shock isn’t enough, there are the strange stipulations surrounding their inheritance. Each sister stands to gain a large share—but only if they work together to restore a decrepit theater that was Fritz’s obsession growing up in his small hometown of Hidden Falls. As the sisters reluctantly set out to fulfill their father’s dying wish, they find not only themselves but the father they only thought they knew. 1. Discuss the book’s title. Why do you think Mariah Stewart chose it? Whose last chance is it? Explain your answer. 2. When Darla asks Cara what she hopes to find by going to Hidden Falls, Cara answers “My dad. I want to find out who my father really was, because he obviously wasn’t the man I thought I knew.” (page 53) What does Cara learn about her father? Does Cara have other motivations for complying with her father’s will and visiting Hidden Falls? If so, what are they? Discuss her motivations along with those of Allie and Des. 3. Allie calls Hidden Falls “strictly Small Town USA.” (page 169) Describe Hidden Falls. Do you agree with Allie or do you, like Cara, find Hidden Falls charming? Could you make a place like Hidden Falls your home? What did you like about it? 4. What was your initial impression of Barney? She is beloved by the residents of Hidden Falls—why do they hold her in such high esteem? Do you think their admiration is warranted? 5. When Nikki asks if the family’s theater will be used once the restoration is complete, Allie tells her, “[Y]our grandfather’s will only called for us to renovate it. Nothing else. Nobody’s talking about using it for anything.” (page 269) Why is Allie reluctant to commit to using the restored theater in any way? Compare her attitude about the theater with that of the rest of her family. What would you do if you were in Allie’s position? 6. Do you think Honora was a good mother to Allie and Des? Explain your answer. Compare Honora’s parenting style with Susa’s. 7. Why is Allie nervous about Nikki’s visit? Given Allie’s fears, did Nikki behave as you expected? What do you think of her? Were you surprised by Nikki’s enthusiasm for the restoration project? Why, or why not? 8. Of the theater restoration, Nikki says, “This is so seriously cool. I can’t believe I have the chance to do something important like this.” (page 276) Do you agree with Nikki that restoring the Sugarhouse is important? What role has the theater played in the community? Are there any historic buildings in your hometown that have similar importance? 9. Early on in the novel, the reader learns that Cara’s husband, Drew, has left Cara for one of her best friends. Given what you learn about Cara’s marriage, were you surprised by her ex-husband’s actions? Do you think that Cara and Drew were well suited for each other? Why, or why not? 10. Initially, Joe “always managed to get [Cara’s] back up.” (page 132) Why does Cara react to Joe with trepidation? Is she justified in doing so? Ultimately, Cara changes her mind about Joe. What causes this? Describe their working relationship. Do you think that Joe is a good construction manager? Would you hire him if you were working on a project? 11. When Allie chastises Nikki because she’s “starting to sound like [her] Aunt Des,” Nikki responds by telling her, “I’m going to take that as a compliment.” (page 324) Describe Allie’s relationship with Des. Why does she see “sounding like Des” as worthy of disdain? Do you? Which of Des’s traits does Nikki admire? What do you think of Des? 12. Were you surprised by Cara’s discovery in the carriage house? How does it help her understand more about Fritz’s character? Does it lead to more questions about Fritz for you? If so, what were they? 13. As Cara watches her family at the Hidden Falls Gun Club, she “felt a little tug at her heart. . . . Who would have guessed how much richer her life would be after less than a month in Hidden Falls.” (page 374) How has Cara’s life changed by her time spent in Hidden Falls? Compare Cara’s mental state at the end of The Last Chance Matinee with that as the book begins. What might account for her new strength and peace of mind? 1. As Allie, Des, and Cara discuss their father, Allie reveals that one of her favorite memories was the birthday trip to New York City that she took with their father and tells that she “stayed for an entire week in a big suite at the Plaza because I loved Eloise when I was younger.” (page 138) Are there characters from books that you read in your childhood that you loved as much as Allie loved Eloise? Discuss your favorite children’s books and characters with your book club. 2. In preparation for bluegrass night at the Hidden Falls Gun Club, the Hudson sisters listen to bluegrass music with Barney, who describes it as “sort of like country, maybe what some would consider hillbilly style.” (page 366) Listen to bluegrass music with your book club. Do you like it? Or do you find the music “different,” as Cara does? Discuss your reaction to the music. If you’re already a lover of bluegrass music, share some of your favorite songs with your book club. 3. Cara grew up in Devlin’s Light, the setting for Mariah Stewart’s wildly popular Enright series. Read one of the books in this series (Devlin’s Light, Wonderful You, Moon Dance) with your book club and discuss it. What do you think of Devlin’s Light based on Cara’s descriptions of it in The Last Chance Matinee? Were you surprised by anything? 4. Practicing yoga and teaching it to others provides Cara with a sense of calm and she “loved that she could teach others how to obtain that same sense of peace and well-being.” (page 4) Try yoga with your book club. Are you able to focus and find a sense of inner peace? Talk about your experiences with your book club. 5. Make Susa’s granola recipe for your book club! Mix all the dry ingredients together in a very large bowl. Mix the honey and melted coconut oil together, then add to the dry mix. Spread onto two large jelly roll pans (17” x 11” or 19” x 12”). Bake at 275°F for 20 minutes. You’ve written more than forty books throughout your career. How did the writing and publication process for The Last Chance Matinee compare? I don’t plot things out before I start writing, so the process is always one of discovery—the characters reveal themselves and from there the story settles around them. The first hundred pages are always agonizing, because while I know the basic story, I’m not sure how it’s going to play out; I’m still getting to know the characters and hearing their voices. If I can make it through those first hundred pages, I’m probably going to make it to the end of the book. That being said, this book was a little different for me because I had more of a clear understanding of where I was going right from the start. On your website, you write that The Last Chance Matinee is loosely based on something that happened in your family. How much of your family’s story influenced the story of the Hudson sisters? Did your family have any objections to you using your own history as source material? When my mother was in her mid-forties, she discovered that her father had had another family in another state, and that the person she thought was her cousin was actually her half brother. He’d been adopted as a toddler by my great-aunt Bess, my grandfather’s sister, and she and her husband raised him as their own son. He died not knowing that the man he called “uncle” was actually his father. After the “cousin” passed away, my mother received a letter from his widow, who laid out the truth. My mother also discovered that she had a half sister, and that another half sister had died shortly after being born along with the child’s mother. Since the story I wrote is far from the truth of what actually happened, I didn’t expect anyone to object. My mother and her siblings have all passed away, but I think my mother might have been amused by my version. Many of your novels have been New York Times and USA Today bestsellers, and you’ve been the recipient of many awards, including the Romantic Times Reviewers’ Choice Award. 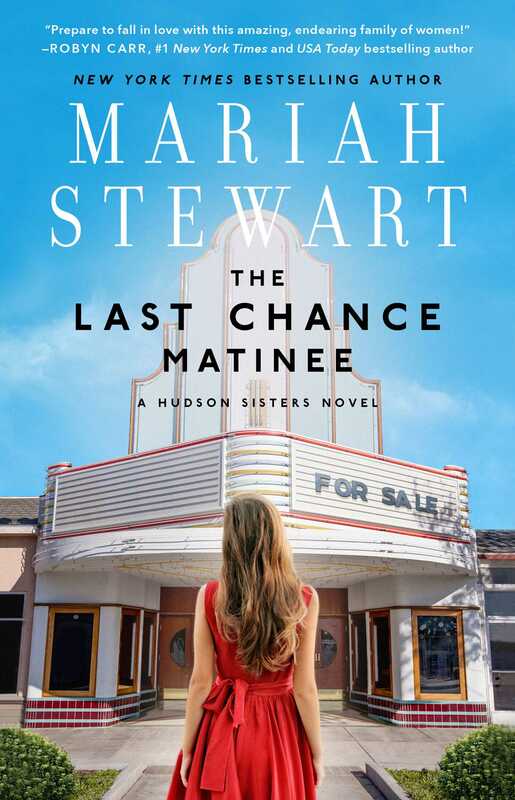 Given the success of your earlier books, did you feel any added pressure when writing The Last Chance Matinee? If so, how did you deal with it? There’s always pressure when I start a new book. I can’t say that writing this book was any more stressful than any other! A lot of whining and angst goes into writing every book, because it’s never easy. There’s always a moment when I ask myself why I thought this story was a good idea. The only thing you can do to get past that is to keep writing. As an award-winning novelist, do you have any advice for aspiring writers? Is there anything that you wish you had been told at the start of your writing career? Read. Read often. Read everything. Read thrillers and romances and literary works, fiction and nonfiction. I wish I’d known that this is never easy, regardless of where you are in your career. Writing a book is hard work. Yes, sometimes the words come easily and the writing flows, but don’t be fooled. Sooner or later—usually just when you start thinking, Hey, this book could write itself—you’ll round the corner and come to a screeching halt, and you will have no idea where you’re going. You just have to keep banging away at it until it comes out right. The Last Chance Matinee marks the beginning of a new series for you. Can you tell us a little about your writing process? How do you decide which story lines to leave unfinished so that you can address them in future novels within the series? Do you know how the entire series will conclude? My writing process is always the same: I sit in front of my computer every morning and hope my characters are speaking to me that day! Every series is different, and sometimes the story arcs overlap more than in others. The most difficult part of writing this series was deciding how much of the story to give the reader in this first book and how much to hold back. Because I have three lead characters, each having their own book, the first thing I had to decide was whose story to reveal first. Each of these women are in different stages of their lives, and they each have issues to deal with. Some will be resolved earlier than others. It’s a balancing act, and I don’t mind saying that my editor has been very helpful. She has a really good feel for such things! There are so many threads that cross each other in these books, from the first to the last— from Cara’s search to find out who her father really was, to Des’s commitment issues, to Allie’s alcoholism—but I can say I do know how the series concludes! Have you found anything particularly rewarding about publishing The Last Chance Matinee? If so, what? The most rewarding thing about publishing any book is connecting with the readers. This book is no different in that regard. I did enjoy putting a different spin on the story my mother was told, imagining how it might have all played out, and I came to love all five of the women—from Nikki, who turned out to be the total opposite of what I expected, to the three sisters, to Barney, who is a great character herself. And yes, I do see a bit of my great-aunt Bess in her. You describe the community of Hidden Falls so vividly. How did you come up with it? Is it based on a real place? If so, can you tell us more about it? Hidden Falls is a product of my imagination. The town developed in my head around the story. I knew it had to have the theater, of course, and a few restaurants, and the usual police department, pharmacy, that sort of thing. It needed to be small, and it needed to be one of those Poconos towns that never fed into the tourist thing. So I had the Hudson family carefully control how the town developed over the years so that it could stay small and maintain its character and rich history. I should add, my mother’s brother and his family lived on one of the mountains, and we visited at least once every year when I was growing up. I remember how the roads twisted and turned, and I remember seeing the gouges in the earth left from strip-mining the coal. But I also remember the beauty of the mountains and the ponds and lakes and forests around my uncle’s home. If you’re from the area and are familiar with Cummings Pond (we called it “the lake” back then), you’ll recognize it in Compton Lake. It’s the only thing in the book that I took from memory. Your descriptions of the Sugarhouse Theater really bring it to life. What kind of research did you conduct in order to get all the Art Deco details correct? For many years we lived in Lansdowne, Pennsylvania, a small town outside of Philadelphia, where a 1927 theater is being restored. I’d been inside it several times and remember how my jaw dropped the first time I looked up at the magnificent ceiling. I borrowed elements of this lovely building for the Sugarhouse. If you’ve seen the movie Silver Linings Playbook, you saw the outside of the theater in the scene where Bradley Cooper and Jennifer Lawrence are running down the middle of a street—they run past the Lansdowne Theater and stop in front of it and argue (the memorable “He’s harassing me!” scene). You’ll find pictures of the interior of the Lansdowne Theater here: www.lansdownetheater.org and www.abandonedamerica.us/historic-lansdowne-theater. I also studied the restoration process of other historic theaters in different parts of the country. What would you like your readers to take away from The Last Chance Matinee? Fritz left his daughters a great deal of money, but it came with strings attached. For all his shortcomings as a father, he knew the only way these women would get to really know each other would be by living together and working toward a common goal, and becoming part of each other’s journey. By agreeing to go somewhere they didn’t want to be, with people they didn’t want to be with, in the end, they each found something they didn’t know they were looking for, and all their lives were so much richer for the experience. Are you working on anything else now? Can you tell us about it? Right now, I’m working on The Good-bye Café, which is the second book in the series. This is Des’s book, and follows her journey in Hidden Falls and the choices she has to make along the way to establish a relationship with her sisters, her aunt, and the town. In the process, one of the things Des learns is that sometimes the last thing you want just might be the thing you need most (with apologies to the Rolling Stones). Mariah Stewart is the award-winning New York Times and USA TODAY bestselling author of numerous novels and several novellas and short stories. 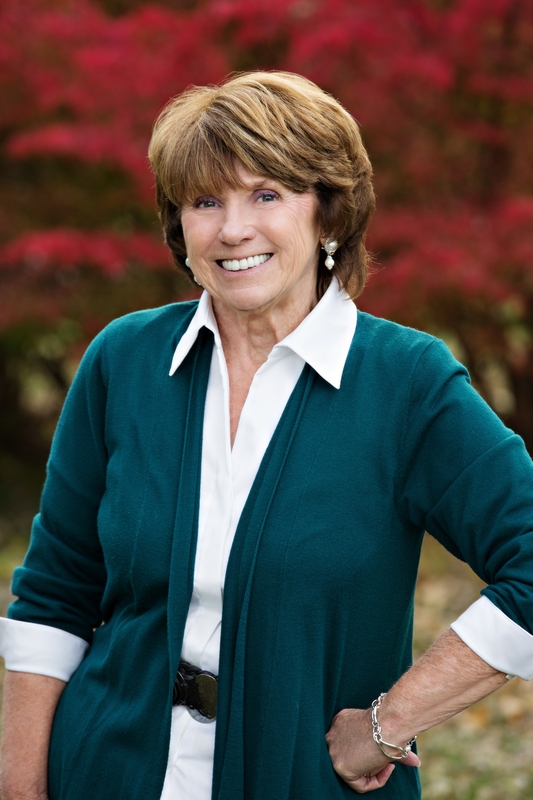 A native of Hightstown, New Jersey, she lives with her husband and two rambunctious rescue dogs amid the rolling hills of Chester County, Pennsylvania, where she savors country life and tends her gardens while she works on her next novel. Visit her website at MariahStewart.com, like her on Facebook at Facebook.com/AuthorMariahStewart, and follow her on Instagram @Mariah_Stewart_Books. "Prepare to fall in love with this amazing, endearing family of women!" "The combination of a quirky small-town setting, a family mystery, a gentle romance, and three estranged sisters is catnip for women’s-fiction fans." "... a sweet reminder of the importance of family."